Background/Info: Xavier Heindrichs aka Hoshin and also known under his alias Esylt is a Belgian artist releasing his official debut album. As far as I can remember, it also is the first Belgian artist signed on the Swedish label run by Simon Heath. Content: “Path Of dissolutions” perfectly fits to the ambient roster of Cryo Chamber. The dark-ambient basis has been accomplished by numerous field recordings moving from typical aquatic noises to diversified noises reminding me of elements of nature. It all together creates a dark and compact entity, which has been empowered by dark strings. The work progressively grows to reach a truly sound apotheosis somewhere in the midst of the album. 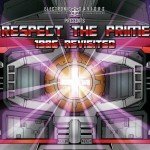 “The All Is Aflame” is an overwhelming piece of music composed with impressive sound blasts. The darkness supporting this work becomes a mysterious and scary space where vibrating noise waves catch your attention. + + + : I especially like the progression on this opus, which reaches its climax somewhere in the midst, but never lost its dark sonic venin during the final cuts. 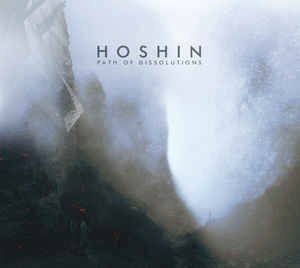 Dark-ambient must have the power to create confusion, like giving you the feeling that there’s an invisible presence in your back and that’s precisely what Hoshin stands for! – – – : I experienced some of the debut tracks as a little bit hesitant and more into a kind of evasive soundscape approach. Conclusion: Cryo Chamber added one more promising band to the growing label family. 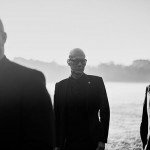 I’m pleased to know it’s a Belgian band, but first of all a project revealing an interesting potential in dark-ambient music. Best songs: “The All Is Aflame”, “Lone”, “Souvenir From The Sacred”.